McNeil Island in Washington state was the home of the last prison island in the United States, accessible only by air or sea. It was also home to about fifty families, including Colleen Frake's. Her parents - like nearly everyone else on the island - both worked in the prison, where her father was the prison's captain and her mother worked in security. 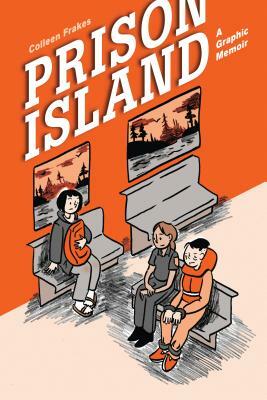 In this engaging graphic memoir, a Xeric and Ignatz Award-winning comics artist, Colleen Frakes, tells the story of a typical girl growing up in atypical circumstances. Colleen Frakes received an Ignatz Award for "Promising New Talent" for her book, Woman King. She has created comics for Mirage Studio's Tales of the Teenage Mutant Ninja Turtles and Dark Horse Comics. Colleen Frakes was awarded a Xeric Grant to publish her book, Tragic Relief. Her graphic novel, Woman King, won the Ignatz award for Promising New Talent in 2009. Colleen Frakes was awarded a Xeric Grant for her book, Tragic Relief (2007), and an Ignatz Award for "Promising New Talent" for her book, Woman King (2009).